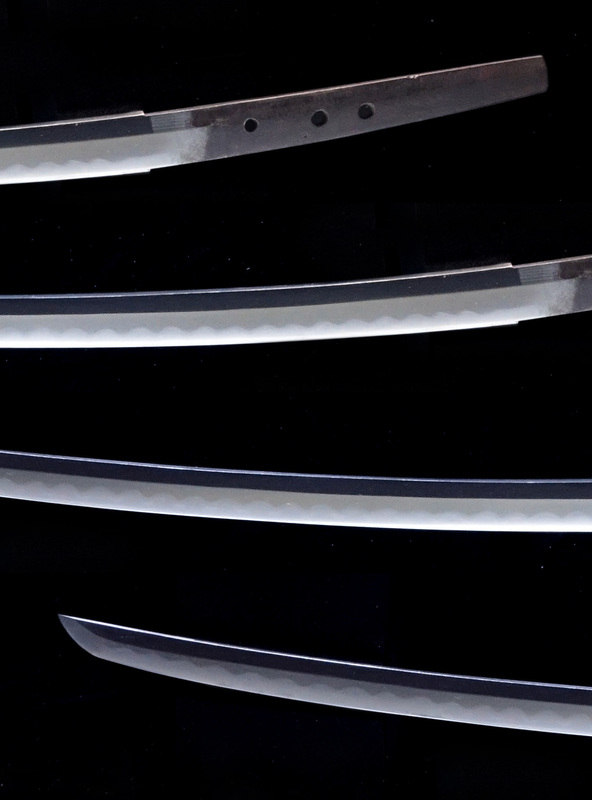 Their　name　“JYUMYOU”　means　life　span　or　longevity. 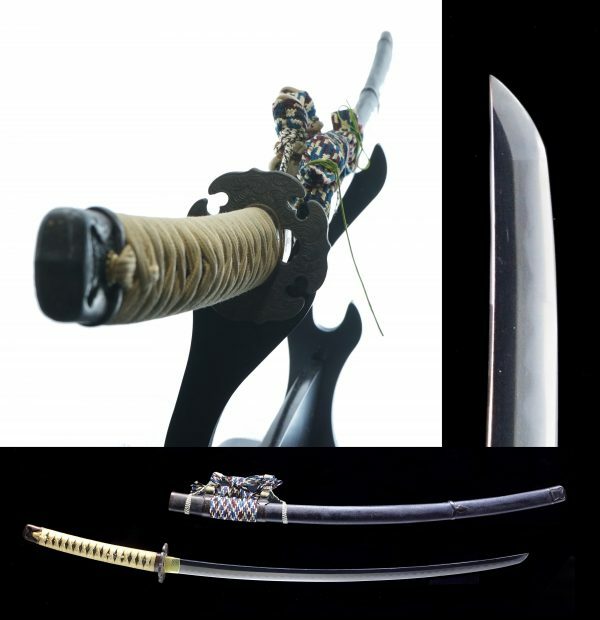 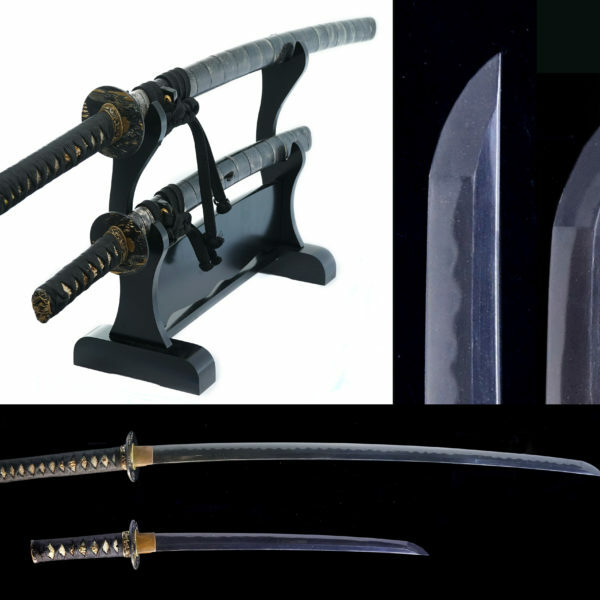 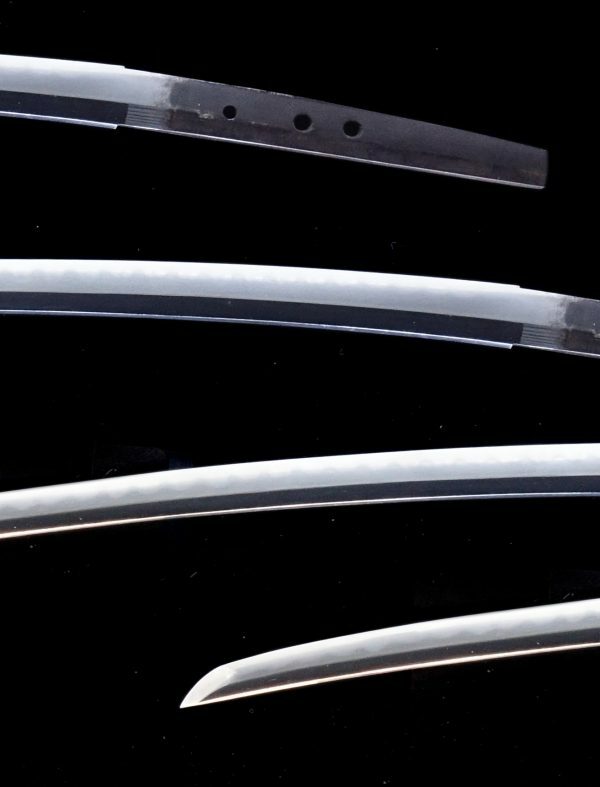 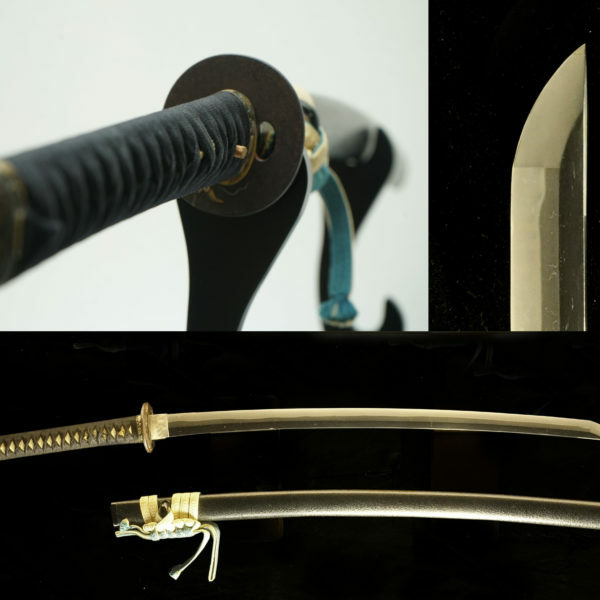 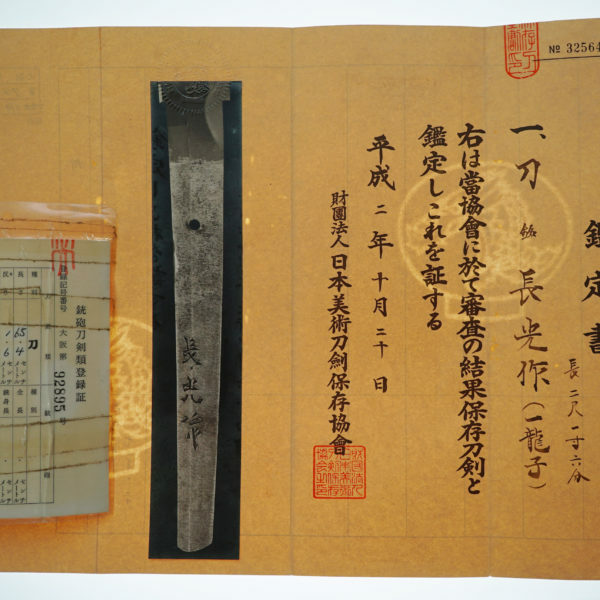 As it’s meaning is so hopeful, their swords were prized as celebrated Gift to Daimyou great families amomgst the samurai society. 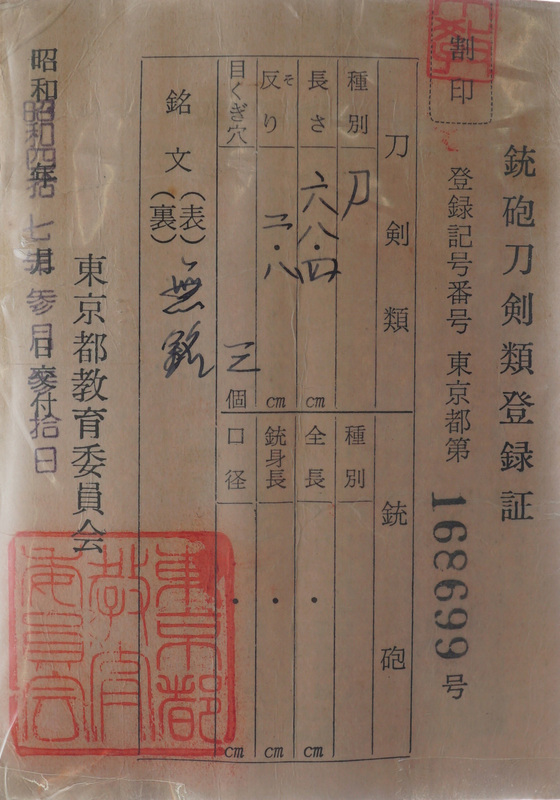 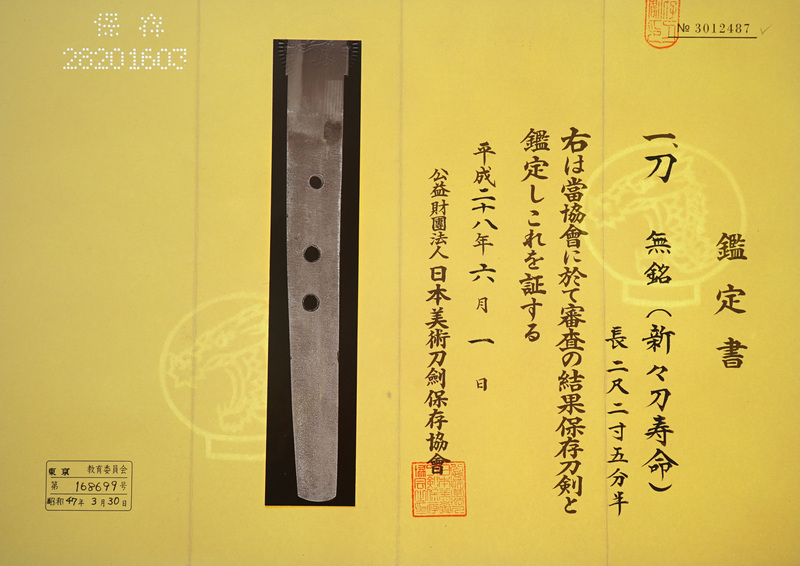 The Jyumyou school has its origins from YAMATO and move to MINO Province in Kamakura period. 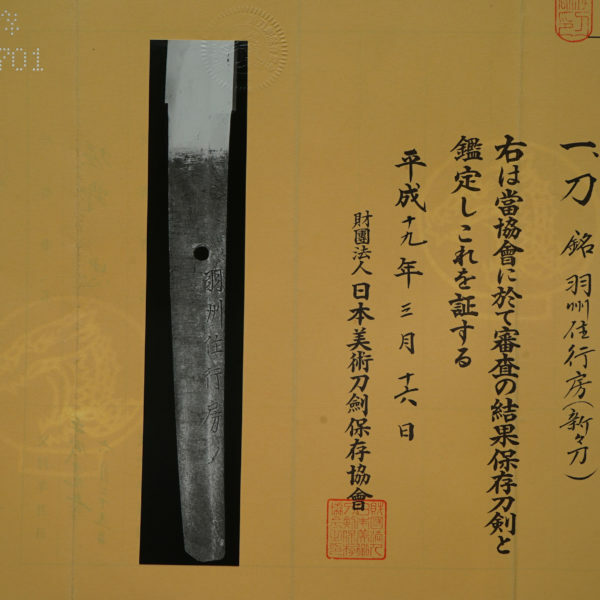 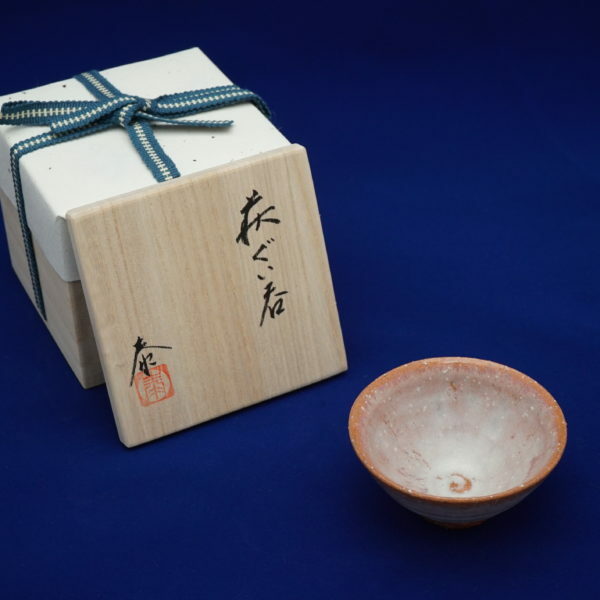 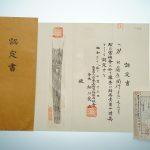 The tradition continued for centuries right up until the end of EDO period in 1868. 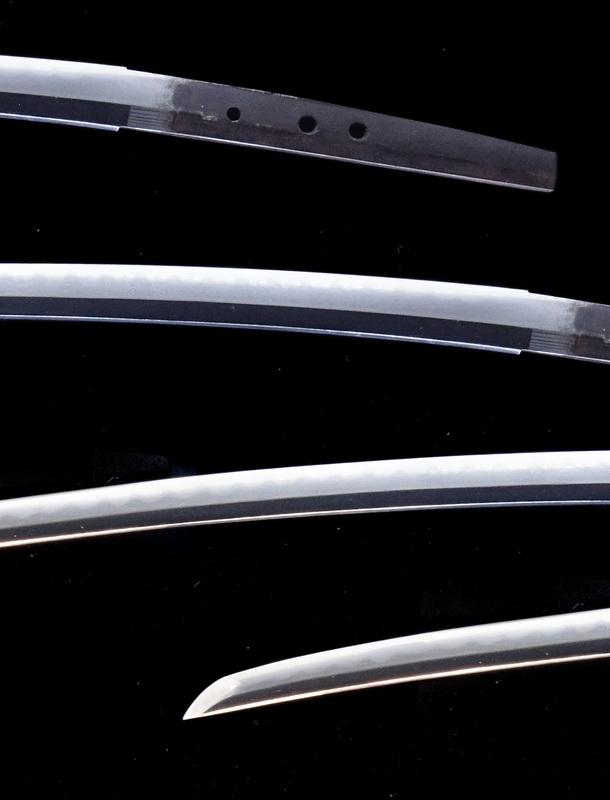 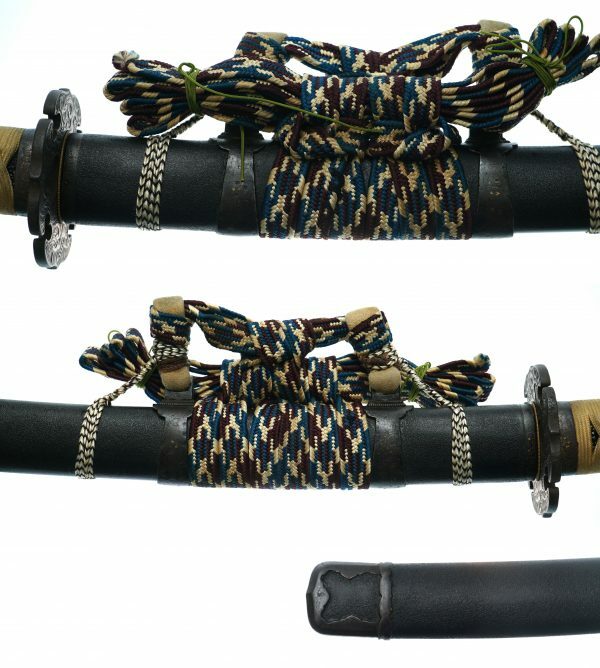 The KOSHIRAE is TACHI koshirae,which made to be worn with the cutting edge down,suspended from the belt. 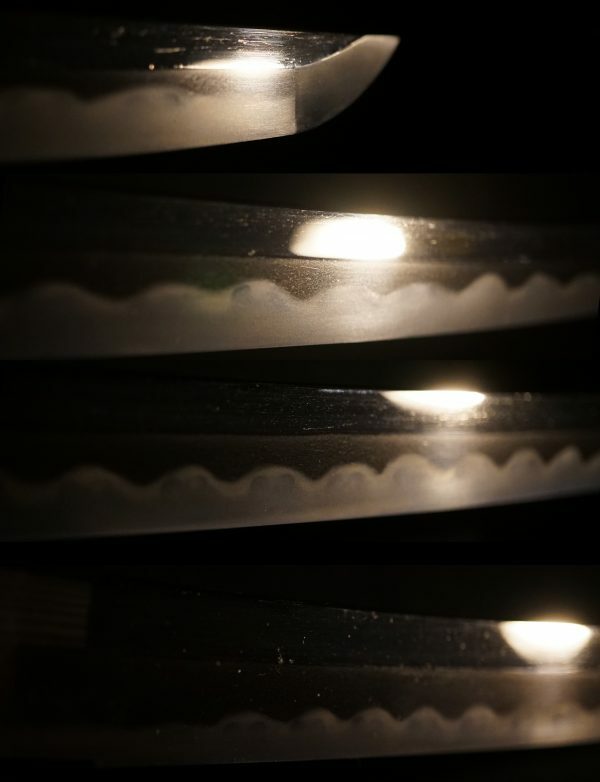 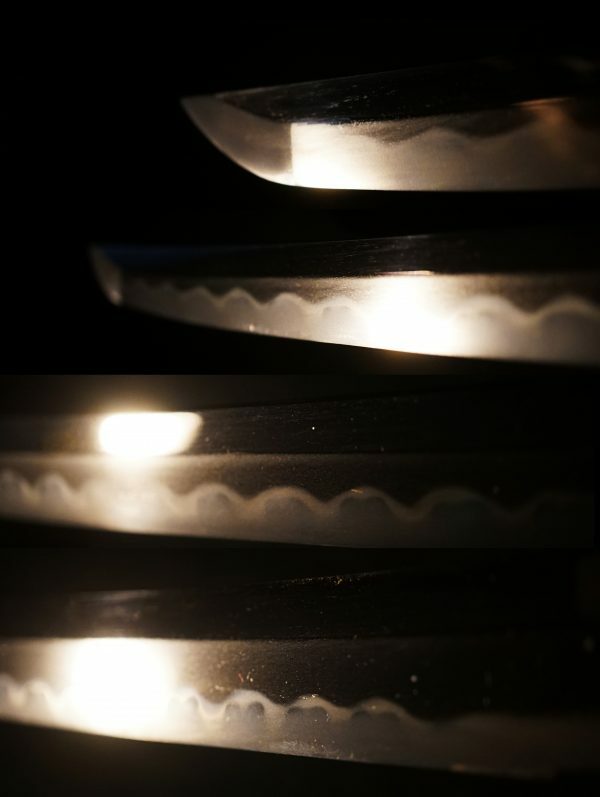 Tsuba is ITOMAKI-TACHI style which made out　of iron　and　its　design is　wild　waves. 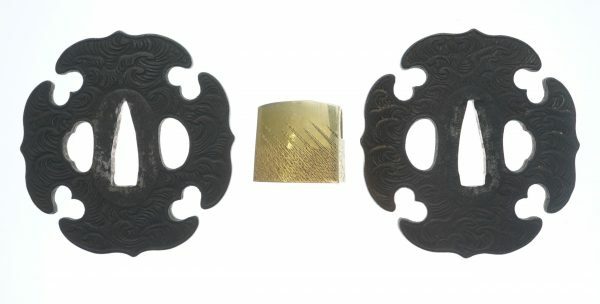 The TACHI fitttings are also　made of iron　with　inlaid work　gold　karakusa. 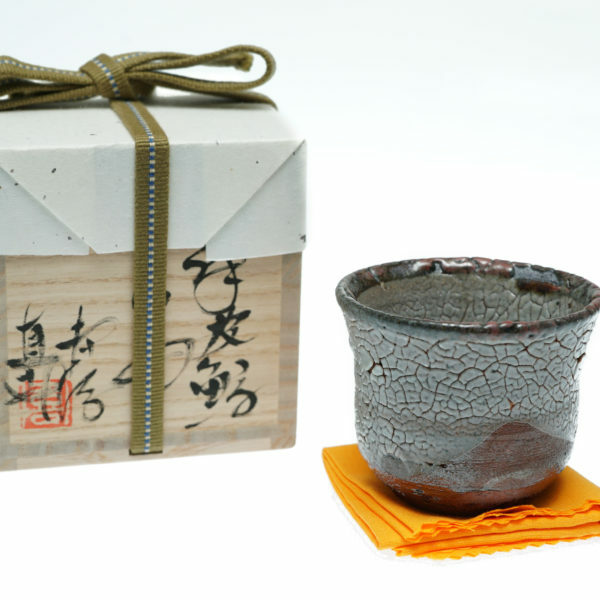 MENUKI’s　design　is　a　plant　which　made of　SHAKUDOU　and　gold. 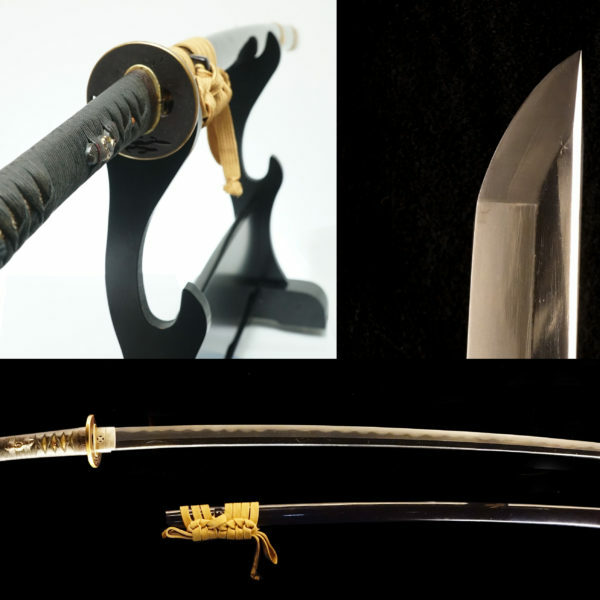 The SAYA　is　lacquered　in　black　with stone　surface.